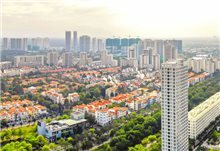 TheLEADERThe rising middle and upper classes are transforming Vietnam’s real estate market. At 6:30 pm, on a cold, rainy day at the end of the year, Van is still struggling to go home on the only and crowded road from Nguyen Xien to Linh Dam in Hoang Mai district of Hanoi. Every afternoon, the struggle began. Van says Hoang Liet ward has the same number of residents equal to two or three normal wards but there are only two public primary schools and all of their classes have been overloaded. She have them study in another ward but collecting them from schools is too hard. Similarly, other essential services such as markets and amusement parks at Linh Dam are not any better. However, Van says maybe they would never improve as most of the public plots have already been saved for apartments. In fact, the story of Linh Dam urban area is also a common situation for old urban areas of Hanoi nowadays. From Linh Dam to My Dinh, the only scene we could see is high-rise buildings; public space is considered a luxury for residents. A series of overloaded urban areas and the popularity of “bedroom apartments” partly stem from its profitability. At that time, customers prefer those kinds of apartments. Moreover, affordable housing products often have utilities ripped off to cut down on costs. According to experts, the stuffy life in old-fashioned urban areas would no longer repeat in the future thanks to the radical changes in buyers' preference. 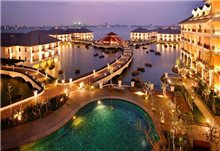 According to the recent reports of some market research units, Vietnam is one of the countries with the fastest growth of middle and upper classes in the world. 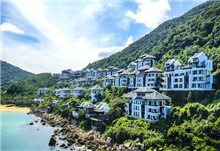 Savills Vietnam emphasises that the number of millionaires in Vietnam has increased significantly in the last four years. In 2017, Vietnam had about 8,500 millionaires. The size and income of the middle class have been constantly increasing due to economic growth, leading the changes in consumption tendency in the real estate market. In the past, people only needed an apartment to take a rest after a long day but now, they are increasingly discerning with other requirements such as location, quality, investors’ reputation, design, service quality, management and operation. The most obvious evidence recently is that many real estate projects have focused on utilities and services. In particular, the most notable project in 2018 is VinCity which are offering apartments at mid-range prices but equipped with modern utilities, aiming at the middle class in the market. 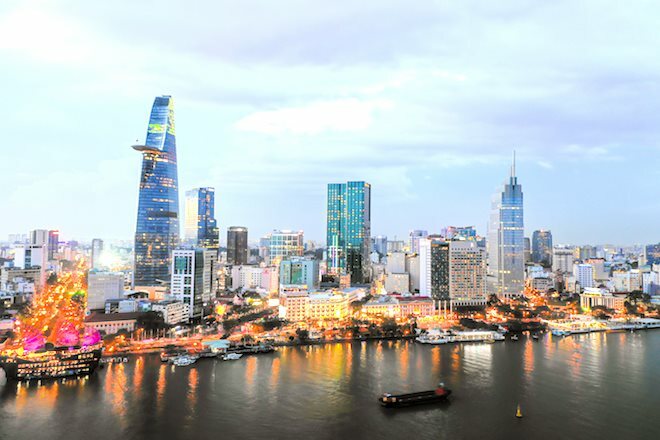 The ultra-luxury segment have seen some new projects such as Alpha City and the Grand Manhattan in Ho Chi Minh City which are sold for up to $10,000 per square metre. 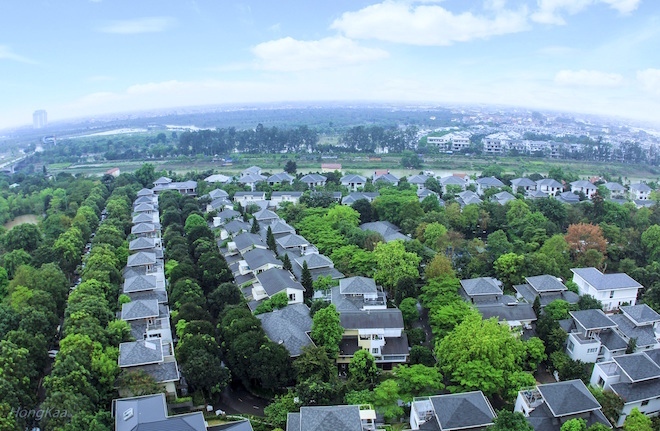 According to Do Thu Hang, deputy director of Savills Hanoi Research Department, the boom of the middle- and upper-class brings a lot of development potential to the real estate market. For middle- and upper-class customers, as they are economically capable, costs will no longer play a decisive role in a house purchase. Instead, factors like project quality, utilities, or services will draw their attention. Real estate developers should capture these needs. In other words, the business of high-end and super-luxury properties is not simply selling apartments, but selling services, utilities and life quality to customers. Sharing this view, Nguyen Dung Minh, deputy general director of Ecopark Group Joint Stock Company, says the trend of living in high-class projects situated on the outskirts of big cities would also increase strongly in the future due to income rise. 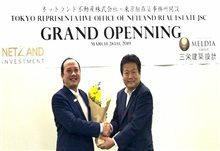 Along with that, the development of the transportation system and the rising number of individual car owners will help shorten the distance, thereby pulling a part of well-off people who are seeking for a lifestyle close to nature back to the outskirts. In the future, with the increasing demands of customers about a real estate product, projects deprived of utilities will certainly become obsolete in the market.